P68 Observer 2 – Ameravia Inc.
Globally acclaimed as the most cost-effective yet twin-engine airplane for observation and patrol roles. Designed to provide an alternate and more economic solution in a field where the helicopter has until now dominated. Max Zero Fuel Weight 4167 lb. Max Useful Load 1499 lb. Max Usable Fuel (with aux tanks) 177 US gal. Landing Distance over 50ft, MLW 1969 ft.
Max Endurance, 2 persons (198 lbs. ): Long Range, Cruise 55% PWR at 10,000 ft., 30 min. Res. 9.6 hrs. The new P68 Observer 2 has a unique aircraft design. 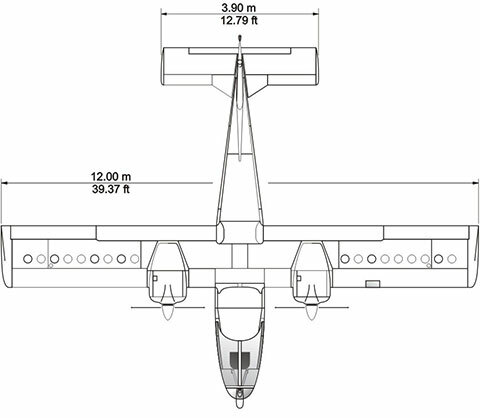 The aircraft features a full Plexiglas nose allowing unrestricted forward visibility. This unique feature has many benefits for many categories of pilots / operators. Whether you are a law enforcement pilot, or you want to enjoy the view, no other fixed-wing general aviation aircraft in the market has the same visibility. You will not miss traffic and you will not miss visual target on the ground. That is why the P68 Observer 2 aircraft is the choice of many law enforcement entities in the US and abroad. 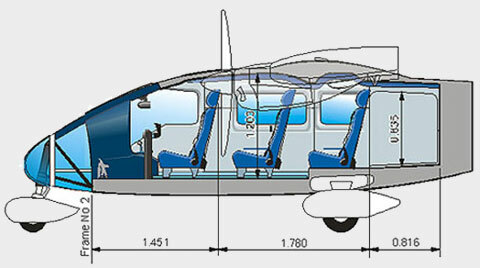 This view shows a standard 1+5 seat interior layout of P68 OBSERVER 2 including the arrangement of the cockpit crew, passenger cabin and baggage compartment with the large aft RH Cargo door and the LH Passenger entrance door. The aircraft can be also certified for 1+6 people by installing a rear bench allowing seating for three people in the last row. 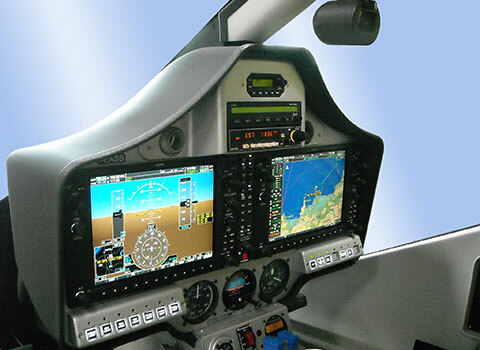 One important new feature of the new generation P68 OBSERVER 2 is the redesigned glass cockpit allowing the installation of the GPS/NAV/COM in a standard position versus the old position in which they were located between pilot and co-pilot. This new installation has improved ingress and egress of the pilot for added comfort and safety. The new generation P68 OBSERVER 2 features a redesigned interior. Thanks to the redesigned interior passengers have gained noticeably increased headroom especially in the aft area. The quickly removable seats make a large cabin volume available for the carriage of goods of all kinds from mountain bikes or golf clubs to stretchers for aerial ambulance duties. The P68 OBSERVER 2 has a standard predisposition for a camera hatch, which is located under the second-row right hand seat. The camera hatch is 2.1 ft long and 1.5 ft wide (63 x 46 cm) and allows the installation of the wide variety of equipment such as professional digital photogrammetric cameras and a wide range of Gyro stabilized cameras such as L3 Wescam, Flir just to name a few. The new P68 OBSERVER 2 is available with two 200 hp Lycoming IO-360-A1B6 normally aspirated engines. The engines drive Hartzell constant speed, full feathering propellers. The exceptionally clean lines of the P68 OBSERVER 2 are the result of many hours of wind tunnel testing and deliver an optimum performance in terms of maximum speed, rate of climb and endurance. Painstaking work on the part of an ideal designer / test pilot combination have produced truly remarkable and benign handling characteristics particularly at low speeds or in the unlikely event of an engine failure. The forward position of the pilot in relation to the wing provides excellent rearward visibility in turns, making for greater safety in crowded airspace. With the optional de-icing equipment installed on the P68 OBSERVER 2 has been operated day and night with safety and regularity, from severe winter conditions over the North Sea and throughout Northern Europe to the harsh environments of the continents of Africa and Australia. The P68 Series has one common feature—economy. The economy of the aircraft is the result of the low operating costs and of the low maintenance costs—a direct result of the aircraft construction simplicity, and low fuel consumption and replacement costs of its power plants. The rugged maintenance free, leaf spring fixed undercarriage, lack of complicated systems and unsurpassed accessibility of servicing points reduce maintenance to the minimum. All the OEM parts installed on the P68 OBSERVER 2 series aircraft have been reviewed and updated to guarantee quick parts availability. With full production now resumed, airframe parts availability is guaranteed. The P68 OBSERVER 2 can truly be considered an airborne SUV. The difference between the Vulcanair and any comparable aircraft is that the P68 OBSERVER 2 has two engines that are powerful enough and reliable. 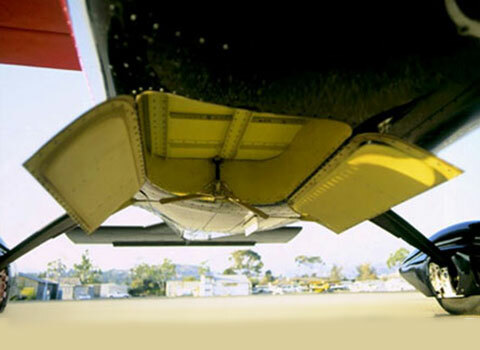 No other light twin in the market offers three rows of removable seats, more than 65 cubic feet of internal volume including 20 cubic feet of cargo space allowing a max load in the cargo compartment of 400 lbs. The P68 OBSERVER 2 flexible space allows the pilot to load the aircraft in many ways that can satisfy many different mission profiles.